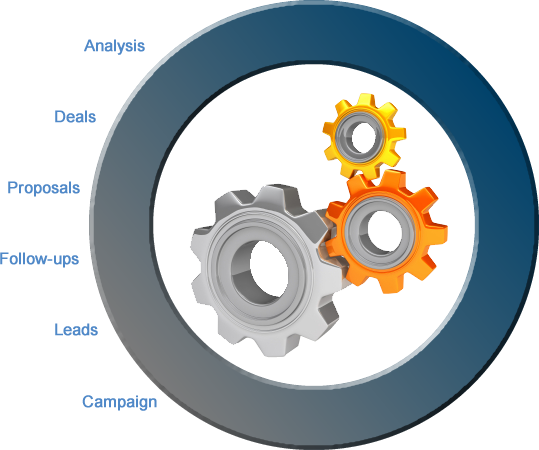 from marketing campaign to enquiry, follow-up, viewing, proposal creation and closing the deal. With UltraSoft Customer Relationship Management (CRM) module automate entire sales force and manage complete life cycle of sale process from enquiry to closing the deal. Define and launch email campaign. Automated lead import and processing. Design and manage HTML templates. Use MS Word documents as templates. Track all lead specific documents. Build and track opportunity pipelines. Design data and graphic reports. Analyse individual and group level data. Create bespoke fields and forms.